We thought we would switch things up a bit, take a break from talking about clothes, and show off some fabulous make up tips. Sonia Kashuk has a great inexpensive makeup line at Target and has put together some helpful make up tip videos. Use these tips with whatever make up you have on hand, then dress yourself up in a fun Mod Bod outfit and you will be set for a fun day/night out! In this video Sonia gives tips on keeping your face looking luminous 24/7. This short video gives a tip that will completely change the success you have with applying makeup…and it’s free! Lastly, get to know the award-winning makeup artist, Sonia Kashuk, as she discusses her career and her ULTIMATE makeup tips. Soon we will be unveiling our swimwear line. We cannot wait to show you! Until then it is still quite cold, even though we know spring is getting closer and closer. We saw these great tips on the Today Show for winterizing your skin, and wanted to share the video with all of our readers. This will help you get your skin healthy and ready to look fabulous in our new swimwear line! Afterglow Organic Makeup is one of Hollywood’s best-kept secrets. Why? Celebrities have to wear makeup everyday and are concerned with the products used on their skin. As a result many makeup artists have switched to products like the amazing EverGlow line. Afterglow Cosmetics focuses on offering the most natural color cosmetics on the market, free of many of the synthetic preservatives, bismuth oxychloride, petro-chemicals, synthetic dyes and fillers found in traditional cosmetics. Be sure to check out this line; it is surprisingly affordable. Posh swears by the Dermalogica Multivitamin Power Recovery Masque. Apparently it’s her “ambulance in a tube.” It’s an intensive masque of concentrated vitamins and botanical extracts that calm environmentally-stressed skin. Extracts of licorice, comfrey and burdock soothe skin and decrease sensitivity. You can find this online for less than $50; it is most definitely worth a try. 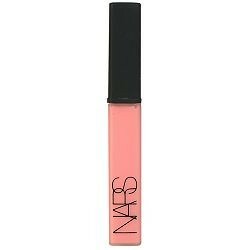 Kim Kardashian SWEARS by her Nars lip gloss in Turkish Delight, and it is really as good as she claims. It is yet another product that is affordable at $24 a tube, which is worth it if you LOVE it…and you will! Free People put together an awesome YouTube video showing makeup application tips they use to photograph the models in their latest catalog. Watch and learn!